There are few things that lift the spirit more than a warm and wholesome homemade meal. The best Michelin starred restaurants can’t compete with one of mama’s handed-down-through-the-generations recipes. I used to cook a lot. And I loooooved doing it. But ever since moving to Japan, I’ve done it a lot less. The kitchens are tiny and have poor ventilation. They’re designed for basic cooking – not for preparing lavish meals that require a lot of preparation and space. Also – people here don’t have the custom of inviting people to their homes. And so it was back to Kokubunji for my second Uzbek cooking lesson. 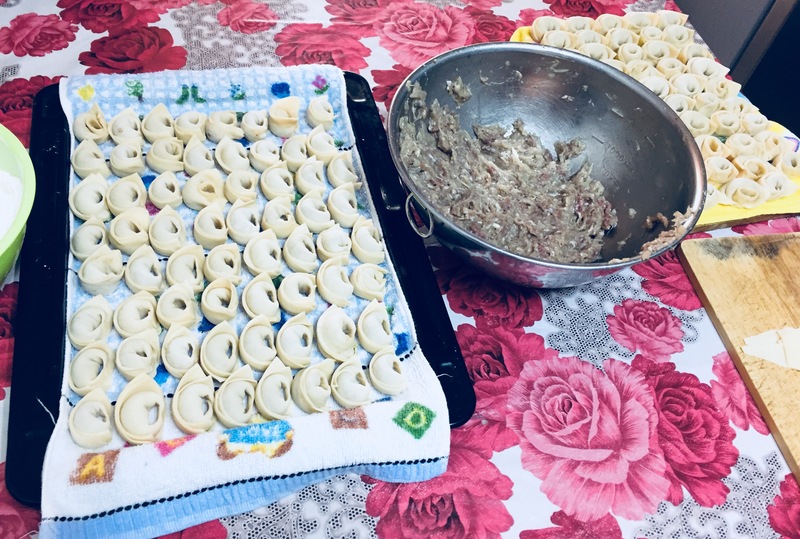 This time we made Uzbek dumplings. For those of you who’ve never tried Uzbek food, you’re missing out. BIG TIME. My love for Uzbek cuisine started back in the day when I was living in Melbourne. 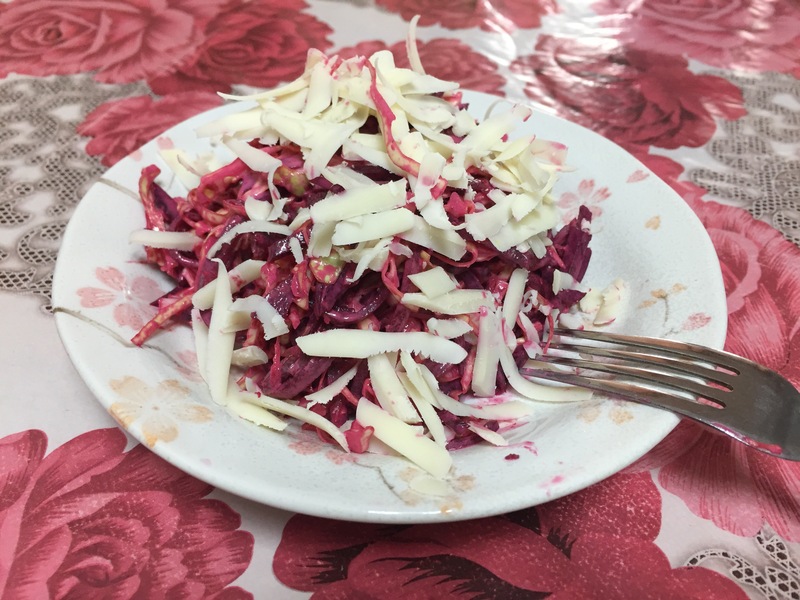 There was a small family run Uzbek restaurant called Shesh Besh where I often went to eat plov, shaslik and a variety of different breads and salads. Uzbek Plov is one of my absolute favourites. So much so that I pined for it till I met Noza – who taught me how to make it last year. I attempted making plov a couple of times on my own – but so far my version has not been as good as Noza’s or the nice lady who used to prepare it at Shesh Besh. Hopefully one day I’ll perfect my plov. But till then, there’s always Uzbek dumplings. And who doesn’t love dumplings? I feel it’s one of those things that you can find in just about every cuisine. Meat wrapped in flour that’s either boiled, steamed, pan-fried or deep-fried. 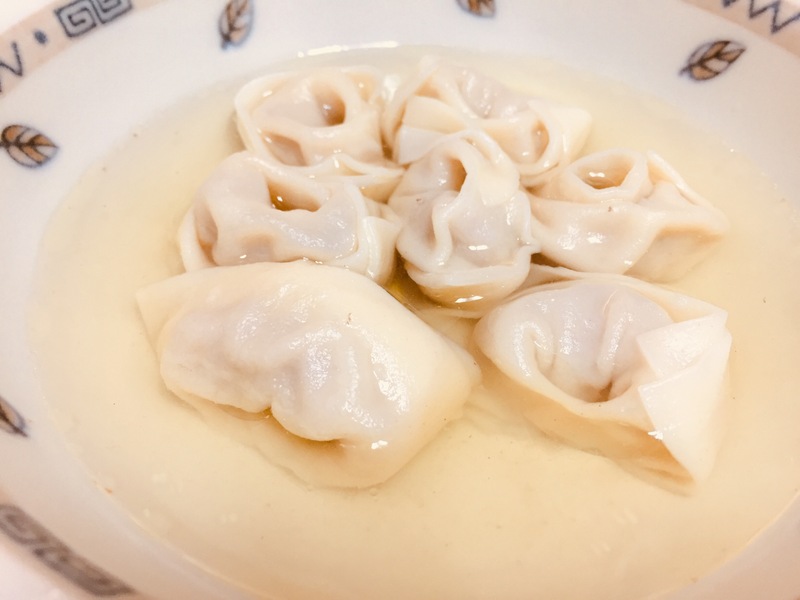 So yesterday Noza taught me to make chuchvara – boiled dumplings served with either soup or tomatoes and onions. It takes a while to prepare, so Noza served me some beetroot salad with cabbage and beef and cheese as an appetiser. Delicious, flavoursome and nutritious – I’ve never quite eaten anything like this. After our pre-meal snack, it was time to start making the dumplings. Meat is pre-marinated and set aside. And then it’s onto kneading the dough – which I saw Noza do time and time again. She must have rolled it out, folded it and rolled it out a good 20-30 times. I lost count after a while. 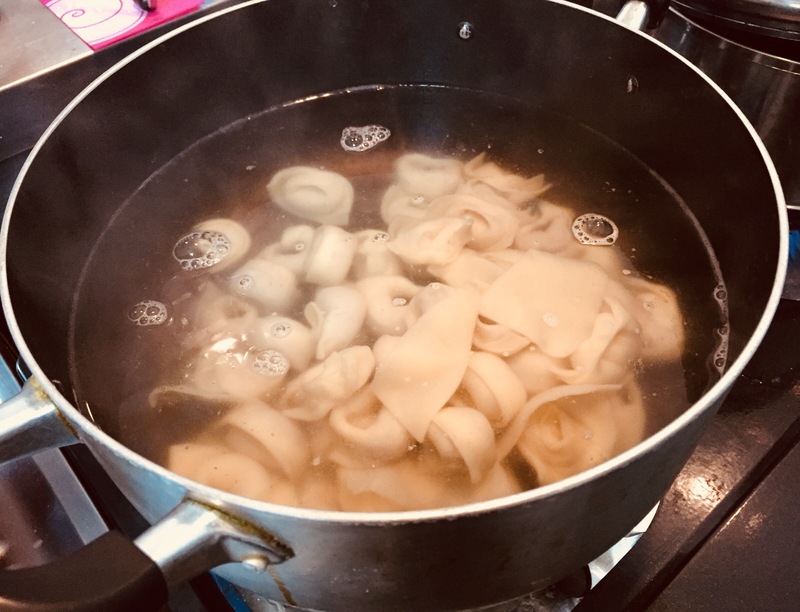 And then she cut the dough into little square shapes – setting aside the unevenly shaped pieces for boiling together with the soup. And then it was time to make the chuchvara. Despite my love for cooking, I’ve very rarely ventured into making things like this because of how time consuming, repetitive and boring it is for the solo chef. But it’s LOADS of fun when you have companions with whom you can sit down and have a laugh while you make it together. 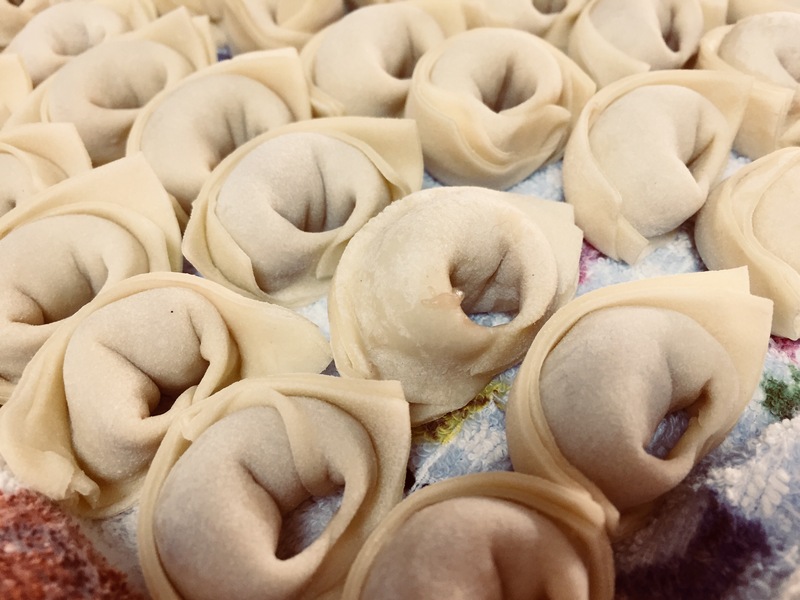 We talked and chatted while we filled the cute little dumplings with meat. Noza teased my lack of dexterity and I openly admitted that mine looked more than chuchkana? than chuchvara. Hey – most people who try something for the first time are not good at it. That’s my excuse and I’m sticking to it. The uncooked chuchvara looked so nice and neat when I saw them neatly assembled on the tray. Noza then boiled the chuchvara in salt and water, whilst preparing consommé in a separate pot. After 3 minutes, the dumplings were ready. Chuchvara are ordinarily eaten with a side of sour cream. A nice touch that adds a certain sourness to the meal. 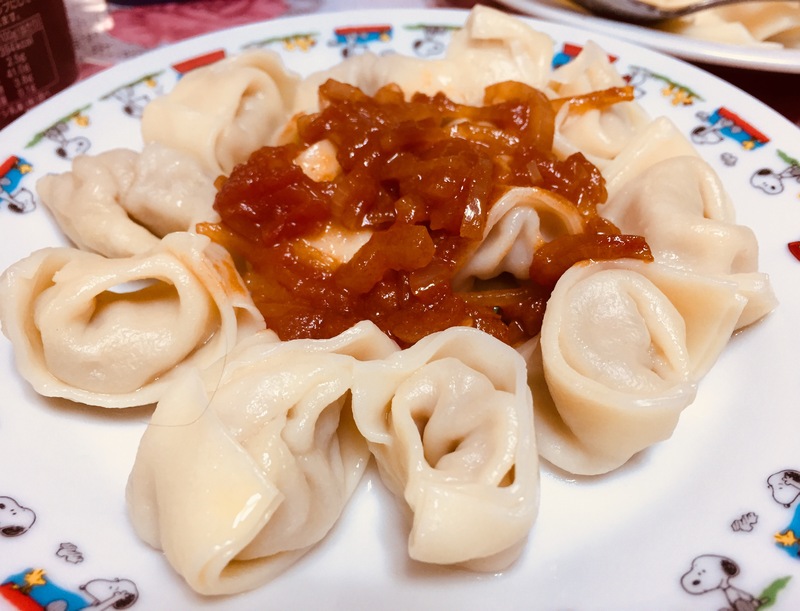 I tried both versions of chuchvara – the boiled ones; and the one with tomatoes and onion. I decided I liked the soup version better. YUM YUM YUM. I left Noza’s place with a happy belly and a happy heart. Interesting to see how dumplings are prepared ! Love dumplings. This sounds so wonderful. I swear beetroot is *the* international food. I have yet to find a country where beetroot does not figure in a meal. A miracle! I swear, everywhere I go it’s beetroot. Hahah my apologies about the trauma but most things that are delicious aren’t particularly good for you… You have to trick your mind into liking them. Haha! Not always. Always loved spinach and beetroot. Even as a kid. It’s the cabbage I can’t stand. The other vegetables I’m fine with. What if the cabbage is cleverly disguised in a meat dumpling?